The Spirit of the Wild As Spirit of the Wild is an outdoor experience, we unfortunately can’t cater for severe coeliac intolerance. We do apologise for this. All meals do contain small amounts of dairy. We also cannot guarantee that all food has not come in contact with peanuts. If you are vegetarian please let us know with your booking. We look forward to seeing you soon! Cute place with amazing service. Would recommend for dates and other intimate dinners. Haven't stopped raving about this place. From the moment we walked in we were blown away. The ambience and setup was incredible. Greeted by the owners and getting a personal history lesson was just the beginning of a magical experience. Really lovely night out. Far exceeded our expectations. The food and drinks were wonderful and the atmosphere was something you can't find anywhere else in the CBD. Loved the theme, fireplace and service and passion of the gang behind it. Cocktails were a highlight. To top it off for good value a very small dessert/ something sweet to end the night in would have been perfect. Thanks for a great night out! Great experience, wonderful cocktails, a little more food would have made the night excellent. 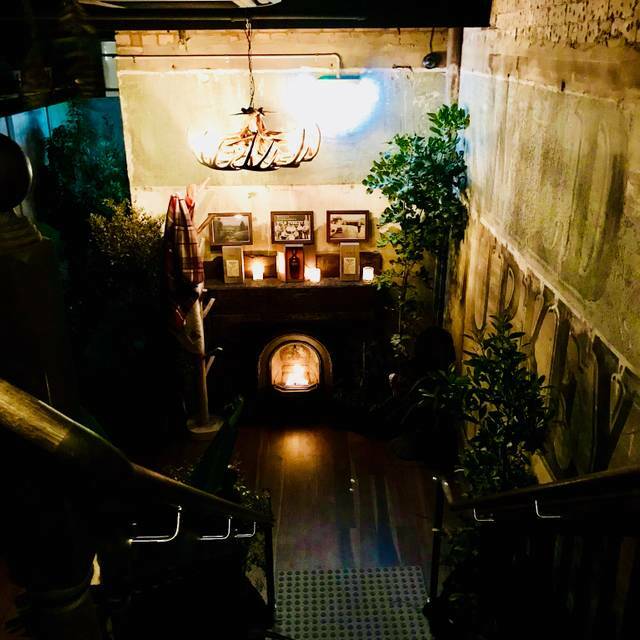 The ambience and out door facilities were beyond expectations, value for money was excellent, the food was exceptional and the whiskey drinks were an exciting experience. Overall had a fantastic night, would recommend and go again! We had a great dinner and drink deal but normally it looked on the expensive side. Beautiful setting, amazing staff and service. Perfectly cute and quaint spot for a little bit of wilderness in the middle of the city. Loved the fire pit, the picnic tables and the quiet ambience. Highly recommended and would go back! A great night with great drinks and food. The venue is fantastic and a real surprise given its city location. Staff were really friendly and knowledgable. Highly recommended. Absolutely loved this. Every one of the staff members provided incredible service, but the experience itself was incredible. We went for a farewell dinner for an Aussie friend who was leaving for New York. She thought it was the most incredible mix of both worlds. Not something we ever thought we’d experience in Sydney! A thoroughly enjoyable and unique dining experience. 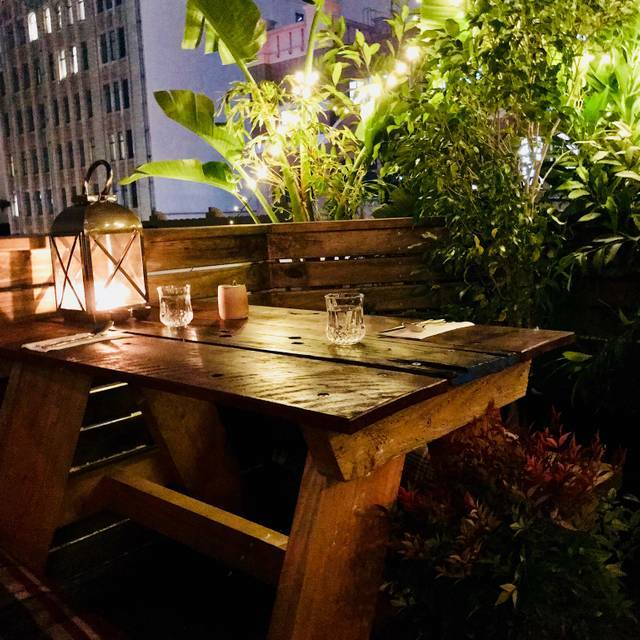 The creators have put a lot of effort and detail into the settings and decor to mimic an outdoorsy rooftop dining experience including a fire pit to sit around before/after dining. The cocktails are divine as well as diverse even if your not a whiskey enthusiast. The food was very tasty and wholesome and the service was friendly and genuine. Quite good value for the total experience, food and drinks. Definitely recommend it!